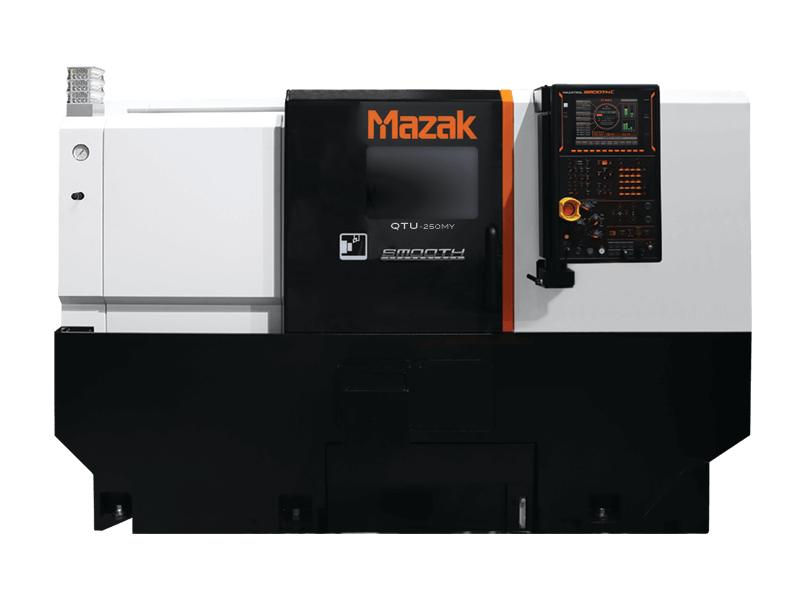 With our simple but innovative QTU-250MY, shops never have to choose between Mazak quality and affordability when it comes to precision small parts production. This machine brings shops of all sizes advanced technology, unmatched productivity advantages and cost effectiveness. Made in Kentucky, this versatile, small-footprint CNC Turning Center with Multi-Tasking capabilities brings maximum efficiency, reliability and value to those processing medical devices from aluminum, engine parts from cast iron, electronic enclosures from steel and much more. It features a main turning spindle, tool turret with rotary milling spindle and Y-axis off-centerline capabilities for Multi-Tasking part processing.